Edwin Paul Perrin was born on June 20th, 1995. He was welcomed into the arms of his mother, father, older sister and loving family. He was the 5th generation Perrin to carry the Edwin name. Paul came from is grandpa Sabin and his initials are the same as his great grandpa Perrin. EPP. He was a happy go lucky boy who grew up and developed into the fine young man that all of you know and remember. He was always ready with a smile, and when teasing those around him you could watch the smile spread over his face until his eyes sparkled with mischief. Edwin’s love for animals and the ranch life only grew as he did. He became a right-hand man both here on the ranch and wherever he went. He may have been a man of few words, but when he told the day’s stories they were always worth a listen. When Edwin started school, the friends he made and his new-found love for sports would carry him through to grade 12. His schooling was not without any bumps, of course. But like everything else in life, when faced with a challenge, Edwin had a desire to finish and with the help of good friends and teachers he made it through. He excelled at whatever sport he played and had a sport for every season. Whether it was football, basketball, track, baseball or bull riding he played from his heart. Edwin graduated in 2014, at which time he entered the work force. He was content to be working but still had a desire for something more. 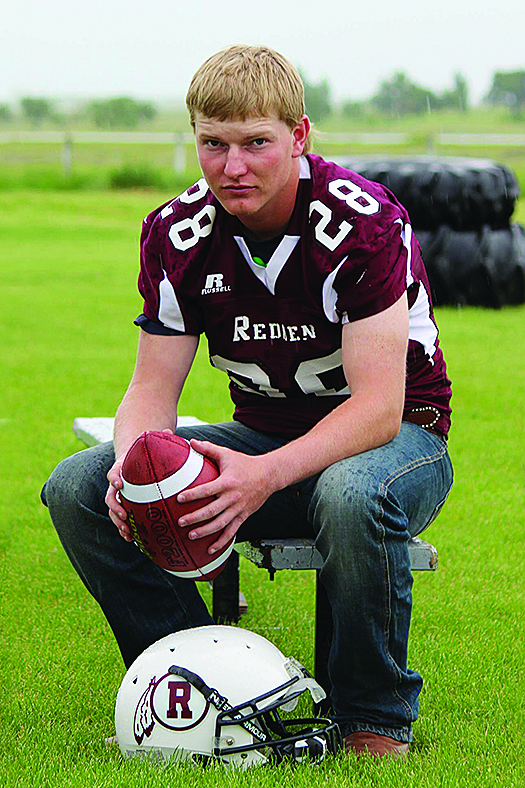 After a summer winter and spring working at Kusler’s Ranch, his dream was realized when Mr. Udal set the ball rolling for him to head out to BC to play football. He and freshly graduated Branden headed off on an adventure that changed them both as they realized they could do this. Edwin’s time in BC and the adventures they went on only added to his character and continued to expand his scope on life. For the next three years Edwin worked at Watson’s and spent his summers and falls playing football out in BC. In January he moved out to be closer to work. While there the stories reported back were full of adventures with John, Julie, Seth, Maddy, willie, Ellen and Cassey. Art work from the kids and daily nerf fights at lunch filled his stories with a smile right across his face. Reports of “we had this for lunch, mom” was common or sometimes, “why don’t you try this, mom?” Obviously, his appetite for new things included food, always an important part of Edwin’s life. Edwin kept in touch with his friends here while he was away, and when he returned home he kept in touch with his new-found friends. These friends, whether from birth or just met, became an extension of his family and in turn became part of the Perrin Family. While Edwin is known for his football days, we can’t forget that he was also a bull rider, starting at an early age when his dad stuck him on the back of a calf, and still riding at Murray Dale this year. It was never the passion that football was but showed the same guts and determination that took him through life. Edwin was predeceased by his great grandparents Edwin & Lidia Perrin, Andrew & Janet Sabin, Rudolf & Vera Rattia, and Alexander Meston. His Grandma Evelyn Perrin, Great uncle Murry Meston, 1st cousin Tye. 2nd cousins Riley and Kellie, and numerous others including his furry friends Spook and Tim. Left to carry his memory are his parents Rodney and Lee, and his sister Natalee; his grandparents Wayne Perrin, Archie and Kathy Sabin, and Great grandparent Dorothy Meston. as well as numerous Aunts, Uncles, family, and all the non-biological brothers and sisters that shared in his life and all who knew him. A funeral service was held on Monday, August 6th, 2018 at the Maple Creek Armoury with Archdeacon Peter Boote officiating. Interment took place at the Maple Creek Cemetery. In memory of Edwin donations may be made to the Edwin Paul Perrin Memoriam, c/o Maple Creek BMO. Binkley’s Funeral Service entrusted with arrangements. Online condolences may be offered to the family at binkleysfuneralservice.com.